India is a multi-lingual country. This is a fact as well as a cornerstone of our idea of a diverse India. Take any one of our languages away, and we will no longer have an India – not the one we know, not the one we want. In recent times, Urdu has been reduced to a tool to demonise the minority community. Urdu is equated with Muslim; Urdu is equated with Pakistan; Urdu is equated with “anti-nationals”. This is happening on the streets with Hindutvavadi goons as the “ministers in charge of what is national”. 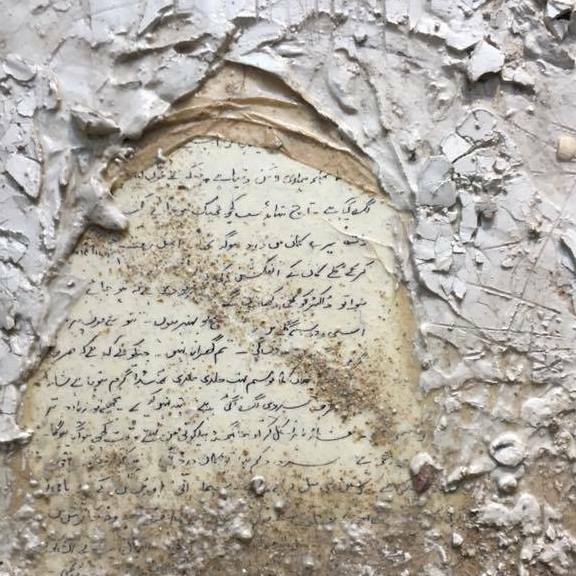 The “cleansing” of Urdu in India has now become literal. Oh Delhi, you were ruined and you overcame your ruin to settle. No other city has a heart like yours. The couplet was written by Zeeshan Amjad, a Delhi University student. The work was part of the #MyDilliStory project commissioned by the state government's art, culture and languages department. 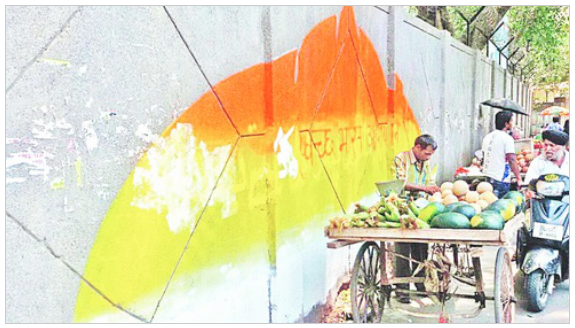 Artists' collective Delhi I Love You (DILY), which is steering the project, has selected 40 couplets in the four languages to be painted on walls in Delhi. Who cares about our city here, or our country or our store of languages? The writer of the couplet and the artists? Or the goons ignorant of their own legacy, their own riches? I, ______, son/daughter of ______, do hereby declare that my book/journal/booklet ______, which has been accepted by the National Council for Promotion of Urdu Language's scheme for financial assistance for bulk purchase, does not contain anything which goes against the policies of the Indian government, or anything that is against national interest, or anything which promotes disharmony between the various communities. I, ______, son/daughter/wife of ______, whose book/periodical/magazine/manuscript/project entitled ______ has been accepted by the National Council for Promotion of Urdu Language for financial assistance, declare that: (i) The contents of the book/periodical/magazine/manuscript/project do not have any material which is against the national interest or which may create any sort of hatred amongst the different sections of society. This is clearly vilification of one of the Indian languages, and one section of the Indian people. Urdu and Hindi have a shared history; they are mutually intelligible. Like many languages now considered distinct, they have had poets, scripts and conversations in common, and continue to do so. 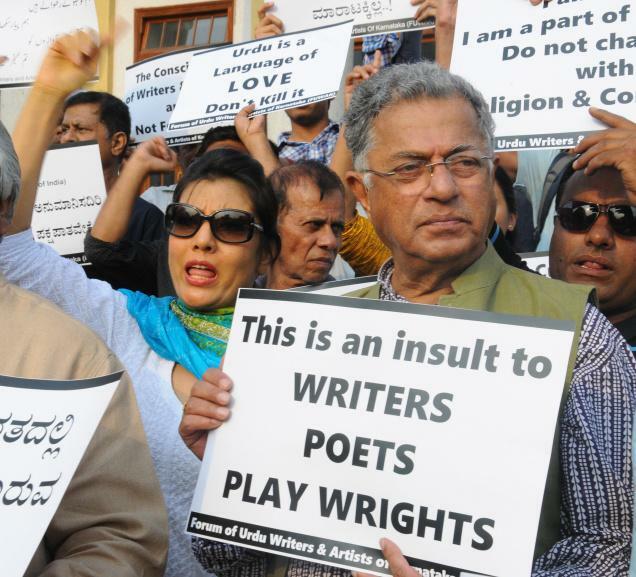 But the larger point we must make, repeatedly, is that no government can hold writers, artists, activists, academics – and citizens – to ransom, demanding prefabricated “loyalty” to the Hindutva narrative. Which language will be next: which writer, which citizen?